A complete and affordable 1099 outsourcing solution for organizations of all sizes. SPS/GZ can assist your company with 1099 miscellaneous tax forms and the various other 1099 tax forms so your organization is compliant with the IRS 1099 reporting requirements. 1099s are one of the most audited forms by the IRS – so it pays to do the job right and on time! SPS/GZ has seasoned tax professionals assisting with the forms and providing counsel for complex issues, such as reporting equity payments in conjunction with a divorce, to meet 1099 reporting requirements. 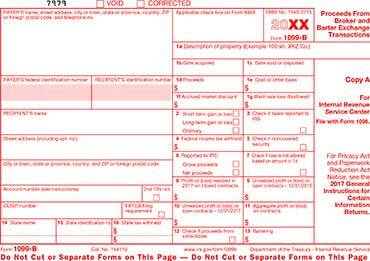 During one of the busiest times of the year for accounting professionals, SPS/GZ relieves the burden of the 1099 reporting requirements of mailing and filing forms at a competitive price, saving companies valuable resources. 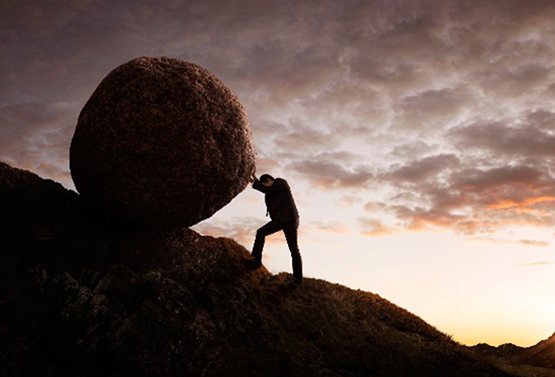 Allow SPS/GZ to handle your 1099 reporting requirements. 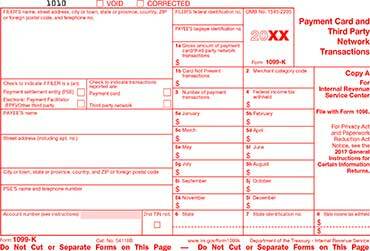 For 1099-MISC tax forms, the IRS changed the filing deadline to January 31st as of the 2016 tax year. It makes sense - now more than ever - to outsource this service to a professional organization like SPS/GZ that handles the electronic filing with the IRS using robust technology and dedicated, knowledgeable professionals to fulfill the 1099 filing requirements. 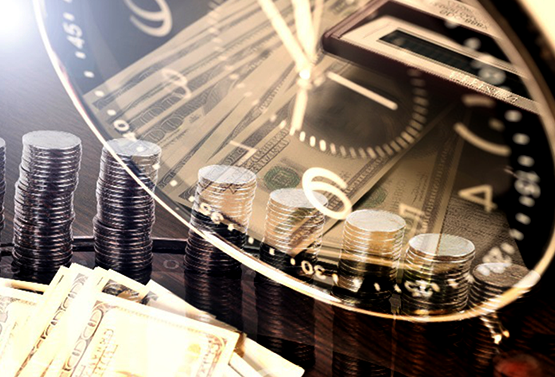 With the accelerated filing deadline for 1099-MISC tax forms, companies are faced with making corrections AFTER the filings have been completed with the IRS. SPS/GZ’s corrections portal allows for changes to be made and new forms to be added easily via an online portal. All corrections are tagged, tracked for auditing purposes and automatically re-filed with the IRS for efficiency and peace of mind. All forms and source files are electronically archived and easily accessible to clients for a minimum of 7 years. As a client of SPS/GZ, you will have the peace of mind that your forms have been reviewed by tax professionals and your organization is in compliance with IRS regulations. Once approved, SPS/GZ will print forms, stuff envelopes, perform quality control review, secure envelopes and mail forms to recipients. 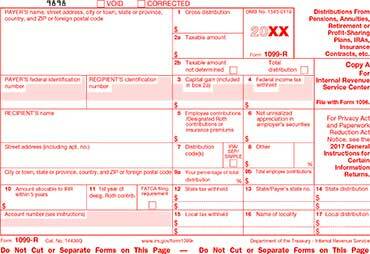 Form 1099-Misc is a tax form that reports the year-end summary of all non-employee compensation. 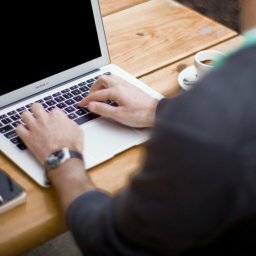 The 1099-Misc form covers rent, royalties, self-employment and independent contractor income, and several other kinds of miscellaneous income. Form 1099-INT is an annual tax statement provided by payers of interest income, such as banks and savings institutions, that summarizes your interest income for the tax year. Interest reported on Form 1099-INT includes interest paid on savings accounts, interest-bearing checking accounts, and US Savings bonds. Form 1099-B is a form issued by a broker or barter exchange that summarizes the proceeds of all stock transactions. Form 1099-C reports Cancellation of Debt Income (CODI). A lender is supposed to file a 1099-C form if it “cancels” $600 or more in debt. 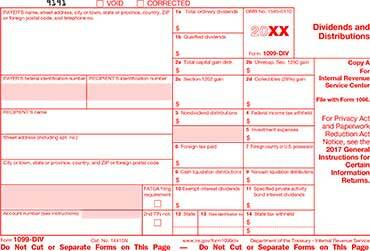 Form 1099-DIV is an IRS form that is used to report dividends and other distributions to investors. Dividends reported on 1099-DIV forms can include dividends paid, capital gains dividends and exempt-interest dividends. 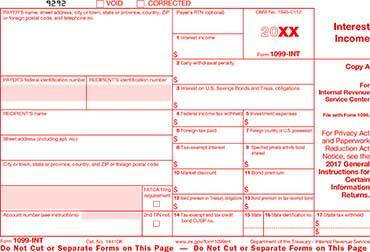 Form 1099-K is an IRS form aimed at individuals that earn an income online. Instead of relying on individuals to self-report online income, the IRS is now forcing third party payment processors such as PayPal or a merchant account to report income that is flowing through their networks to you. Form 1099-CAP is a “Changes in Corporate Control and Capital Structure” form. This form is sent to stockholders of a corporation that has experienced a change in control or structure because the corporation has determined that the shareholders need to recognize a gain from the receipt of cash or stock that was exchanged for the corporation's stock. Form 1099-PATR (Taxable Distributions Received from Cooperatives) is an information return used by cooperatives to report distributions exceeding $10 in patronage dividends or other distributions. It is also used to report any amount of federal income tax withheld under backup withholding rules. In addition to the above listed forms, we also process IRS tax forms: 1095-C, 1094-C, 1095-B, 1094-B, 1098, 1098-T, 1098-E, 3921, 3922, & 5498.